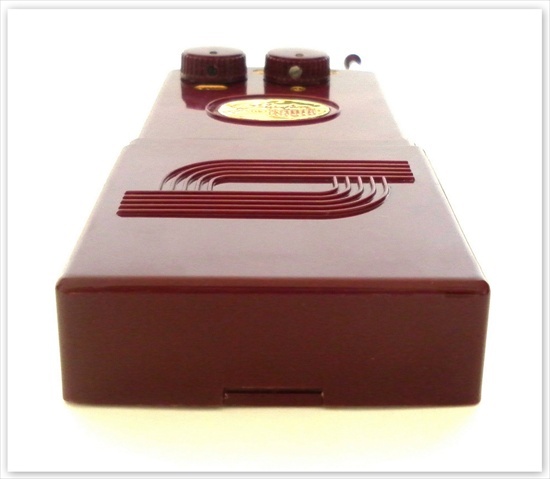 Forward: Researching this radio was a satisfying and rewarding experience. I discovered who invented it via the patent and from there delved deeper into the past by way of old newspaper and magazine articles, the 1930 and 1940 U.S Census and telephone directories etc. As far as I can tell this is the first time the story of the Privat-ear has been told. It is fully referenced at the bottom of the page. 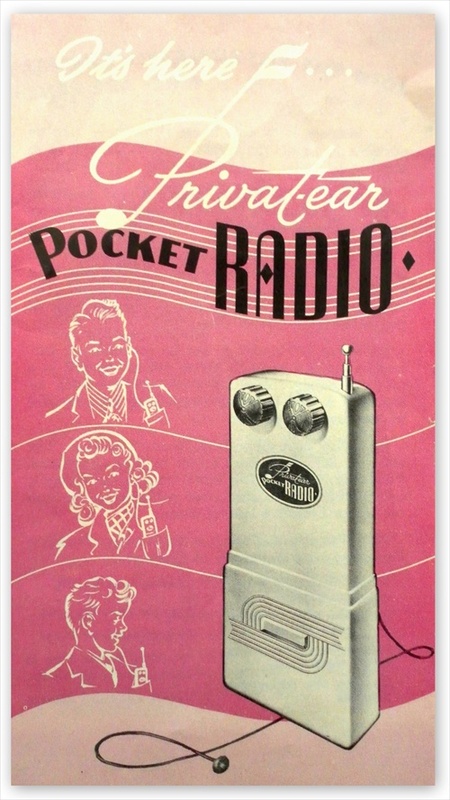 The Privat-ear pocket radio was manufactured in the USA and released onto the market by Electronics Systems Corporation in 1949 (1a, b, c). 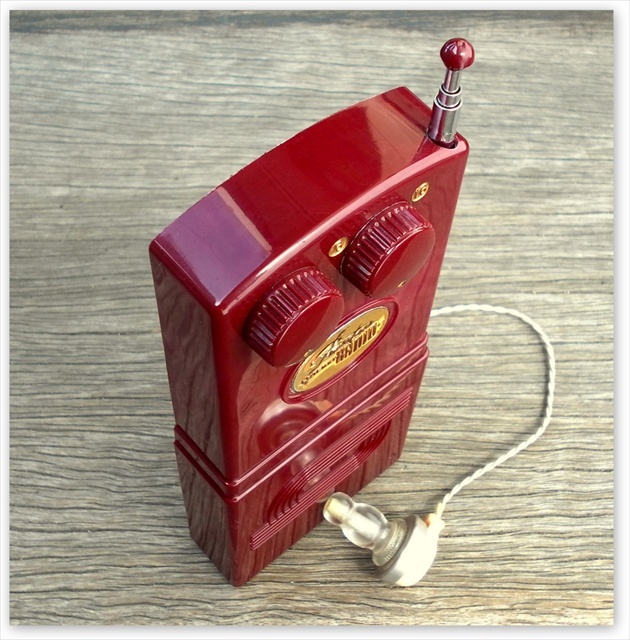 Although small enough to fit in a shirt pocket this is not a transistor radio; it owes its small size to the use of subminiature tubes developed during WWII and was designed as an earphone only model. 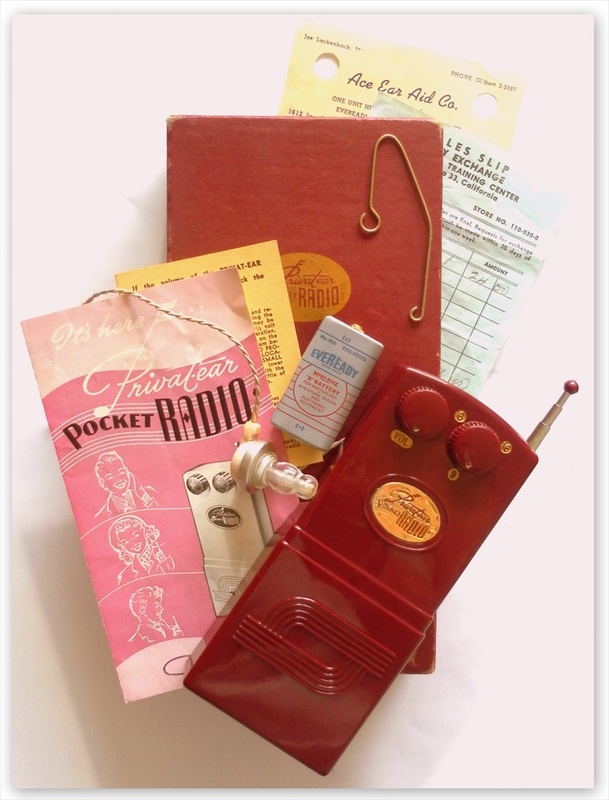 It predates the first commercially available transistor radio by five years and was an innovative, but ultimately doomed, attempt at realizing an American cultural objective; the creation of a portable shirt pocket radio with mass appeal. 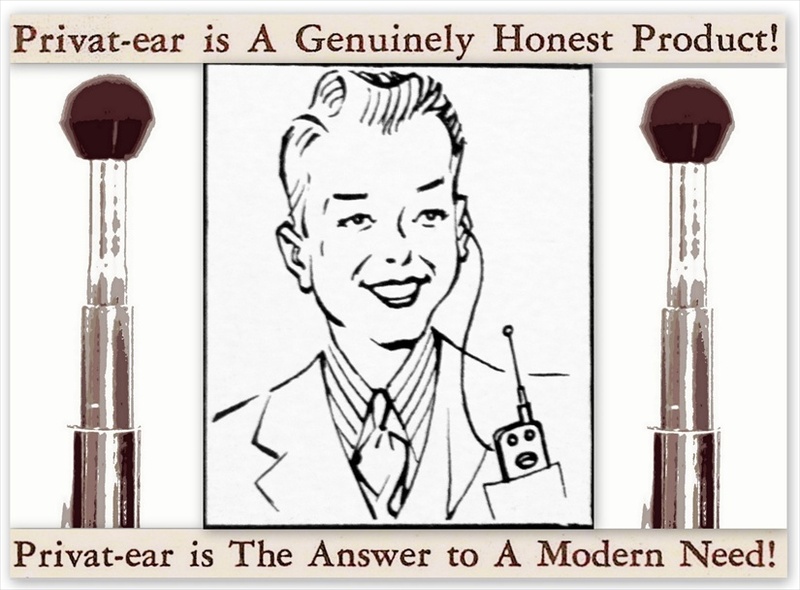 The Privat-ear was invented by Frank L Stuck, a Minister of Lakeland Florida. Born in Washington, Pennsylvania on October 13 1904 to William and Maise Stuck, he was the second youngest of four children (1d, e). He studied Theology at Bethany College, West Virginia from 1924 - 1927 and received a Doctor of Divinity degree from the American Theological Seminary at Wilmington Delaware (1f). Whilst attending College he was one of the founding members of Alpha Pi Alpha, was a member of the Student Volunteers and met and married Iva Myrtle Driggs. 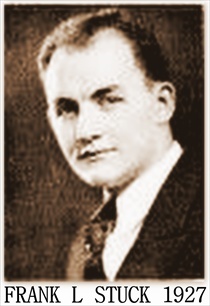 Frank L Stuck might have developed a keen interest in electronics whilst attending college and was most probably a part-time radio enthusiast and hobbyist. He may have been inspired from an early age by the popular writings of Science Fiction Author, futurist and 'promoter of all things radio' Hugo Gernsback. Gernsback founded numerous technical and radio themed magazines including the USA's first radio magazine 'Modern Electrics' in 1908. His popular magazines were aimed at electronics hobbyists and through them he promoted, amongst other things, the idea of 'pocket wireless apparatus'. Gernsback's prescribed ideology progressed through the early 1920's alongside the development of miniature crystal sets and the first fully contained (speaker, loop antenna, batteries, tubes) portables. 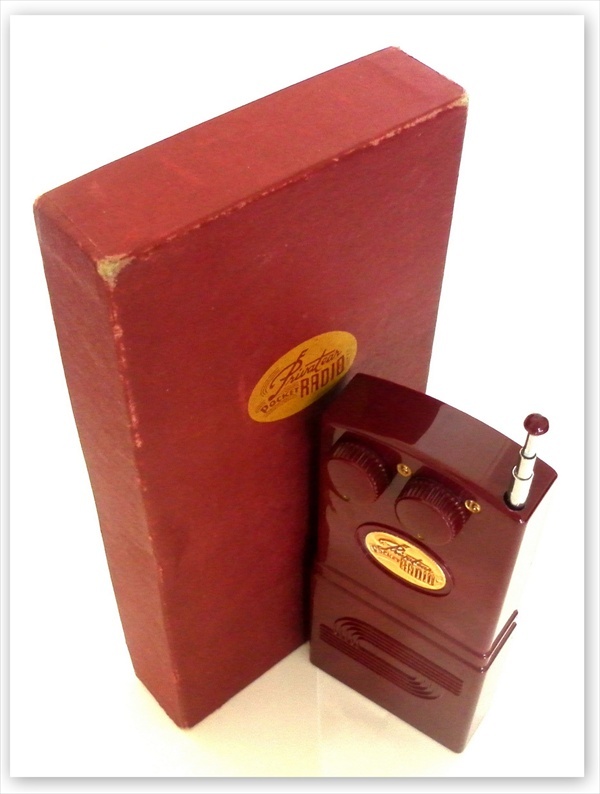 At this time only crystal sets could be built pocket sized and the limited selection of portable radios available were housed in large, heavy briefcases. Neither option was particularly appealing to the average American consumer. In 1929 the stock market crashed bringing on the Great Depression. This resulted in thousands of banks closing and millions of Americans losing their jobs. Times were tough but over the next decade Reverend Stuck managed to find Ministry positions in three West Virginia towns bringing hope and solace to local parishioners. Radio too became a source of comfort and warmth (literally!) to struggling families who gathered in the evening to listen to popular broadcasts. The 'fireside chats' of newly elected President Roosevelt were particularly reassuring and the emergence of new shows, radio stars, sports broadcasts and the like only served to increase its audience. The popularity of radio exploded and by 1937 it is estimated that almost 23 million American families owned a radio. Radio had become more than an electronic box filled with tubes and wires, it had taken on a more intimate quality and was now indispensable to a families emotional and social well being. 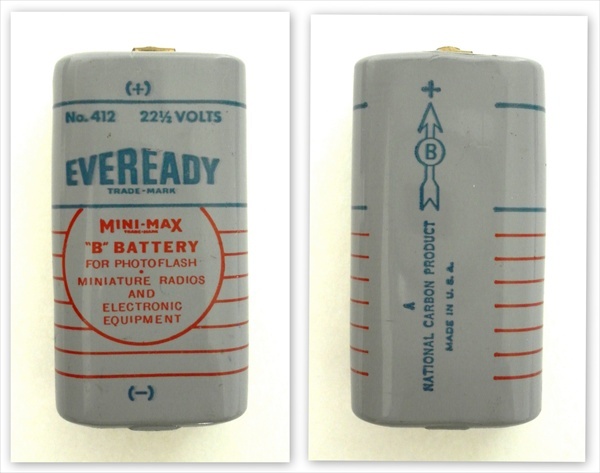 In 1939 Americas love affair with the airwaves continued to bloom and the genesis of the shirt pocket radio came one step closer with the development of miniature tubes by RCA and smaller 'B' batteries by Eveready. 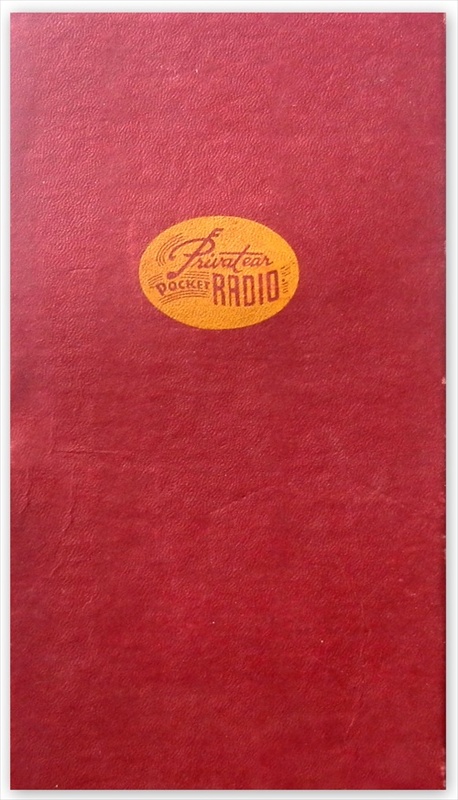 This enabled further reduction in the size of portable radios; one example being the popular RCA Victor BP10, marketed in 1940 and measuring just 8.85" x 3" x 3.6". In 1941 America entered WWII and its consumer electronics industry was quickly directed towards churning out supplies and equipment for the military. This concentrated effort led to innovations such as the printed circuit board and the development of tiny subminiature tubes by Raytheon, making further miniturisation of radios possible. At the close of the war defense contractor Raytheon looked at various projects for maintaining the company's profitability during peacetime. One of the proposals put forward was to build a shirt pocket radio. Raytheon implemented this idea by purchasing the Belmont Radio Corporation and then assigning one of their own engineers the responsibility of designing the set. 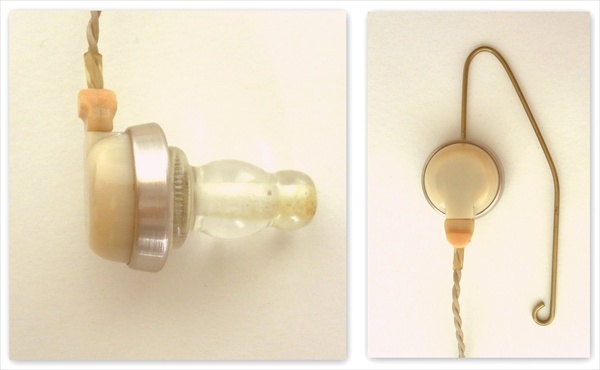 The earphone only Belmont Boulevard made its debut in December 1945. 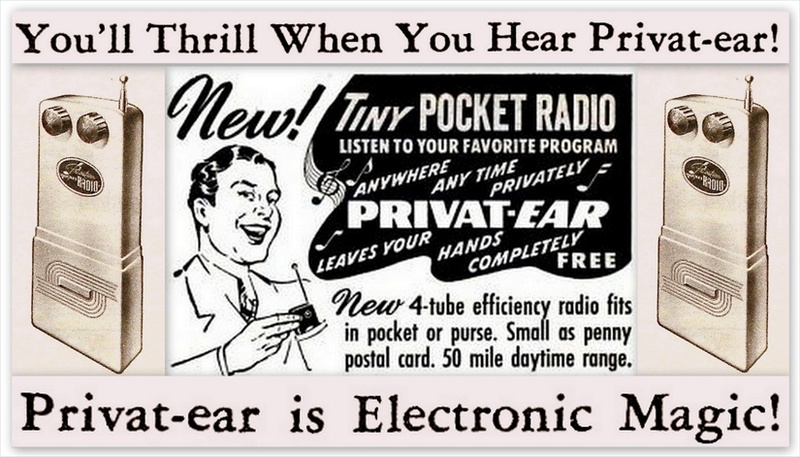 It measured 6.25" x 3" x 0.75" and incorporated their newly designed subminiature tubes (1g) It was the first commercially available shirt pocket radio; however it lacked mass appeal and did not meet expectations. Sadly total sales reached only 5000 at most (1h). The Belmont Boulevard was a cutting-edge, visionary device. 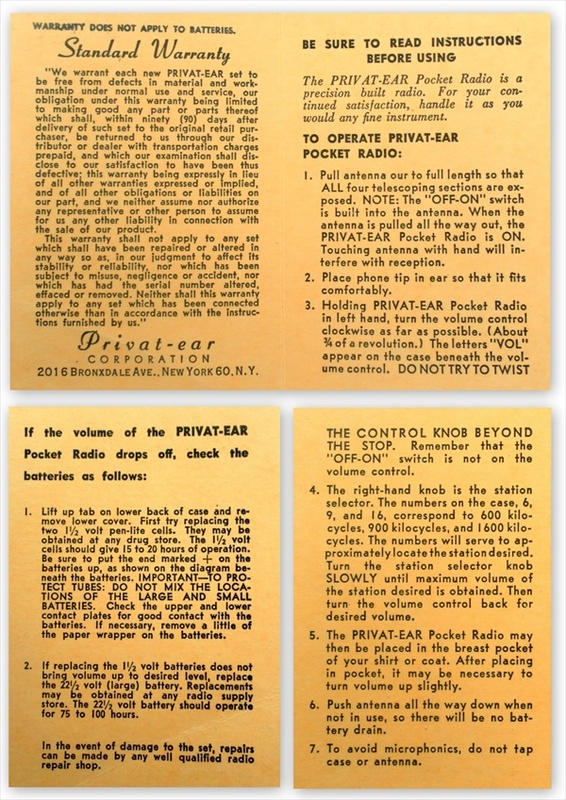 A year earlier Gernsback had stated that "Pocket and vest pocket radios fill a real demand" and he predicted that "before long many millions of these radios will be built annually". He was right, but his predictions were too soon for the Belmont Boulevard. Its suave look and design appeal to us now but it seems that in 1945 it was simply to far ahead of its time for the American consumer to appreciate it. A range of factors contributed to its failure but probable reasons include its high purchase price ($65.00) and the need for frequent battery changes, its average audio performance and its similarity in appearance to hearing aids of that era. This particularly negative association with the 'hard of hearing' was reinforced by having to use an earphone. It was just not fashionable. Meanwhile Reverend Stuck moved his family to Lakeland Florida. Clearly he still believed that a radio similar to the Belmont Boulevard was a viable enterprise as he went ahead and filed his patent on May 8th 1947 (1c, i). See the original patent here. 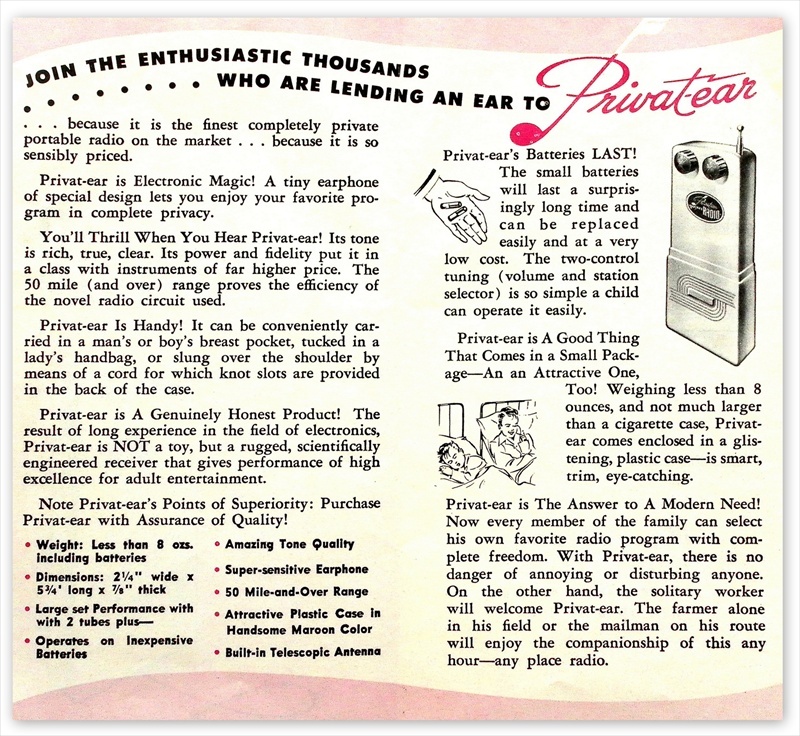 Production of the Privat-ear began some time after and it appeared in the October 1949 edition of Mechanix Illustrated. It employed a two tube reflex circuit and measured just 5.75" x 2.25" x 0.9". Sadly Frank L Stuck passed away two months earlier whilst addressing a Civitan meeting in Bristol Virginia. Speech notes that the Reverend had penned at the time included the cryptic phrases "stand to death" - "rain no game" - "where do you get a lawyer?" and "Adm Byrd", a reference to famed explorer and American Naval Officer, Admiral Richard E Byrd (1e). Admiral Byrd was from a notable Virginia family and perhaps Reverend Stuck used him as a source of inspiration, or maybe he just wanted to sell him some radios! 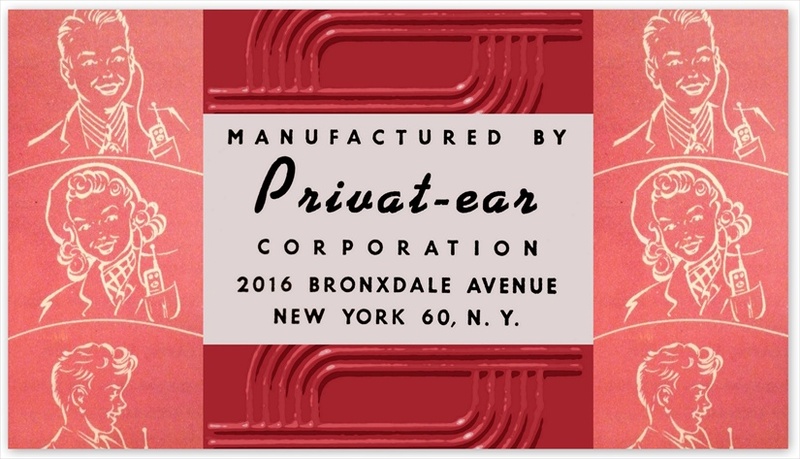 By December 1950 Electronics Systems Corporation had either changed its name or the company had been sold and now traded as Privat-ear Corporation. The address of the company had also changed from 112 West 18th Street Kansas City to 2016 Bronxdale Avenue New York. See both addresses here. Several other earphone only pocket radios using subminiature tubes appeared on the market during this time. 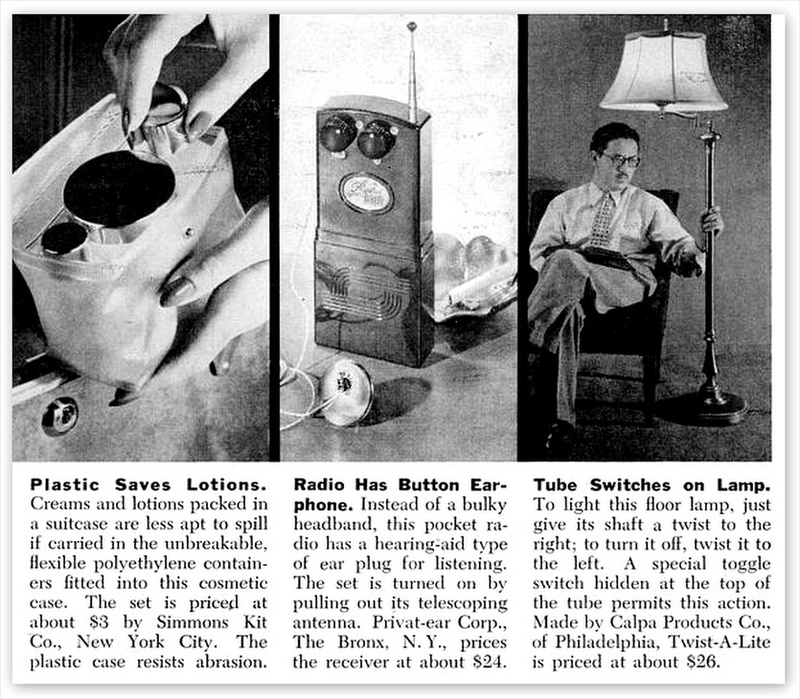 They included the 'Pocket-Mite' kit set radio advertised for $6.99 in the July 1948 edition of Popular Science (1j). 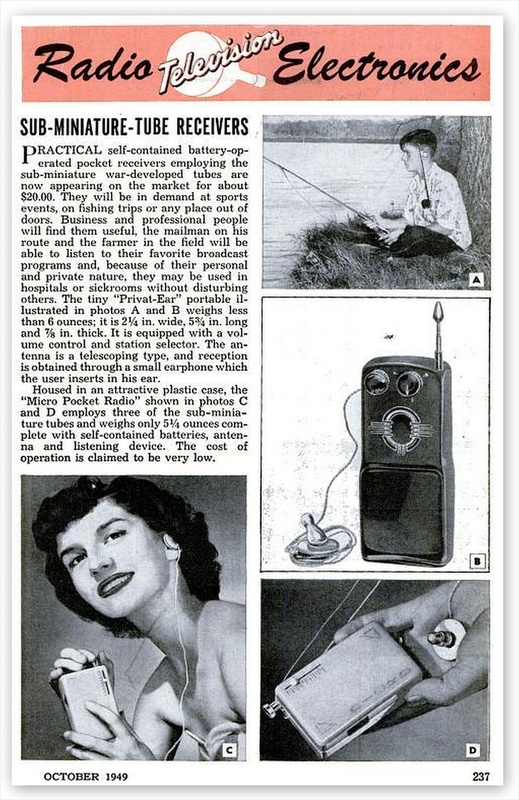 The 3 tube 'Micro Pocket Radio' was featured alongside the Privat-ear in the October 1949 edition of 'Popular Mechanics' (1k). 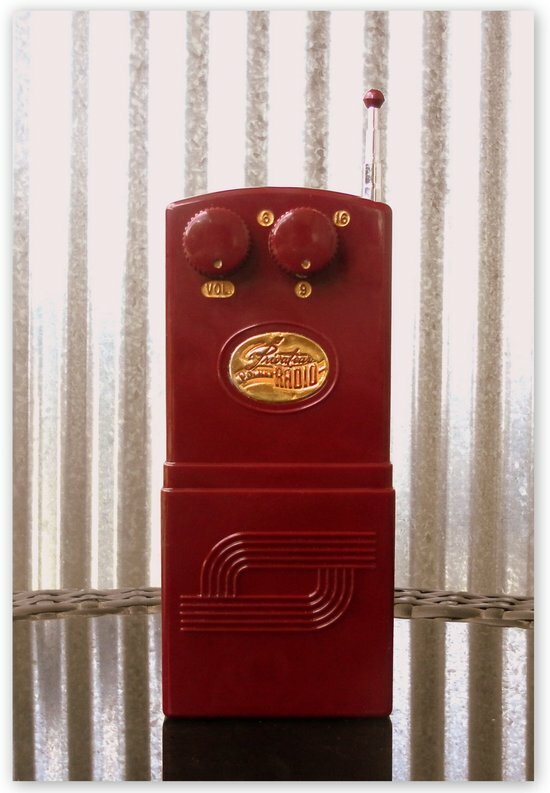 Also interesting is the two-tube 'Tiny Tooner' radio from Chicago, circa 1950. The Privat-ear was the only one of these radios to be encumbered by a large telescoping antenna. In 1951 Hugo Gernsback's magazine 'Radio Electronics' assessed the Privat-ear and it was said to "provide sensitive reception with adequate volume" -even "pulling in stations from as much as 50 miles away". Author Michael Brian Schiffer called the Privat-ear "the most stylish and popular set of this genre" -and "a modest success". 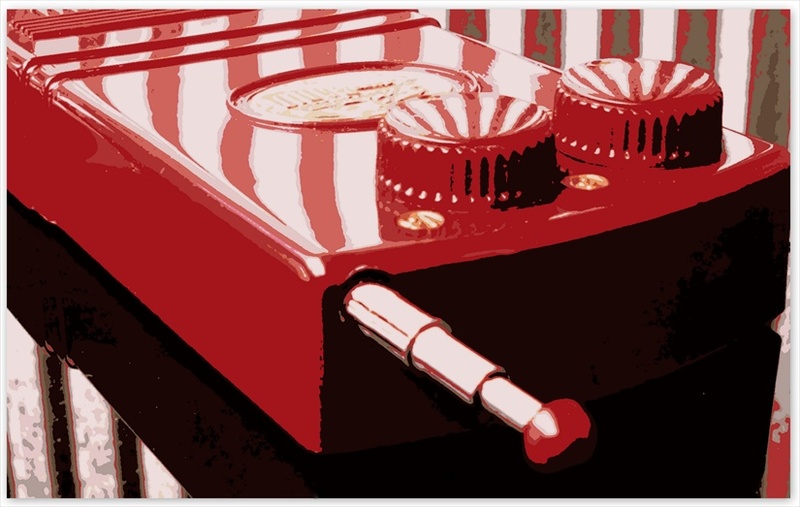 The birth of the transistor radio in 1954 ushered in a new era in micro electronics, a cultural objective had been realised and the grim reaper of the electronics underworld swept up the little Privat-ear; another heroic pretender that didn't quite make it... 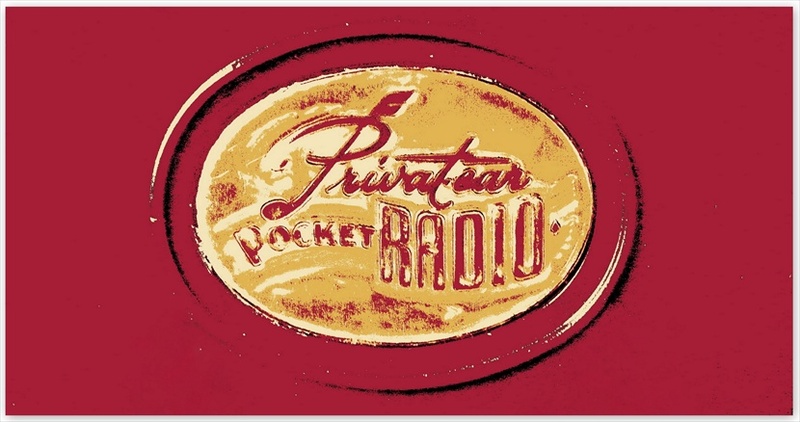 It does however have its place in history as one of the worlds first commercially available shirt pocket radios. 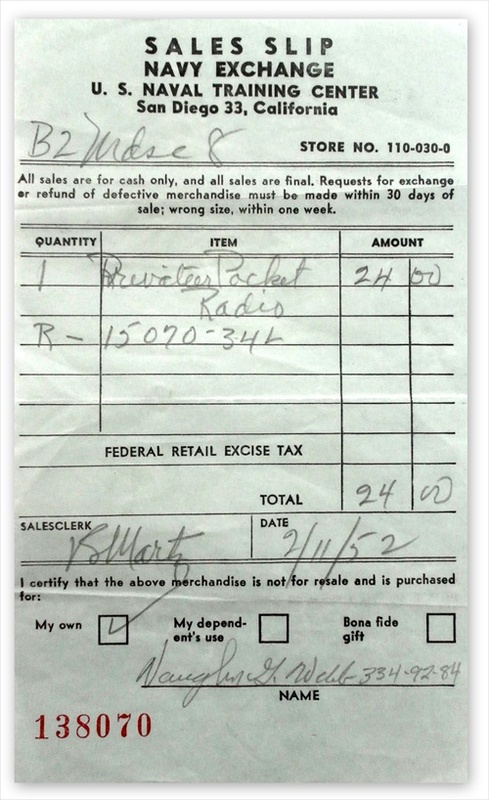 This Privat-ear pocket radio was sold on the 11th of February 1952 at the Navy Exchange, U.S. Naval Training Center, San Diego California. I think the Navy might have purchased a quantity of these radios because their functionality would have suited the cramped living conditions aboard ships. The personal nature of the radio meant that the chance of disturbing sleeping bunk mates was minimised. Of course the radio would have worked at its best whilst the ship was in dock. Privat-ear may in fact have earmarked the Navy as a potential cash cow early on for those very reasons. 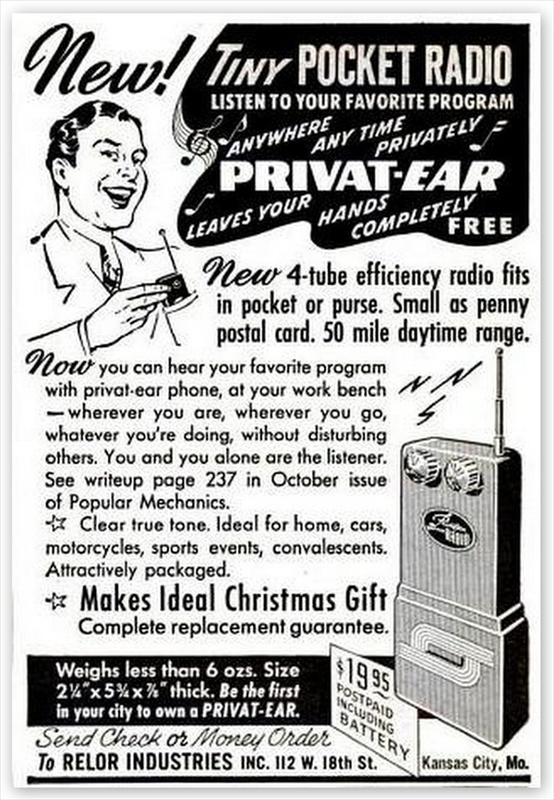 And if you scroll down the page to the article that appeared in the October 1949 edition of Popular Mechanics, you will see a picture of a prototype Privat-ear with what looks suspiciously like a vintage Navy life ring on the front... I wonder if Admiral Byrd ever purchased one? Although it was sold in 1952 I believe that it was manufactured a bit earlier than that, possibly in 1950 or even as early as 1949 partly because it does not have the patent number stamped on the case. Other examples, probably manufactured after September 5th 1950 have 'U.S. Pat. No. 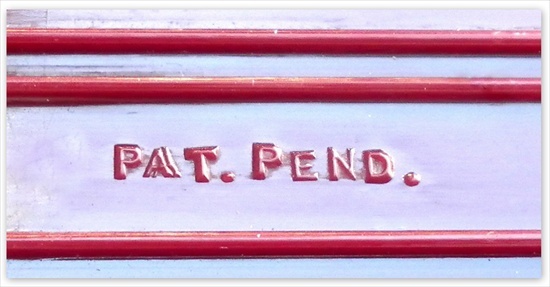 2521423' stamped on the case; mine has 'Pat Pend'. Nor does it have the New York or Blacksburg Virginia addresses molded into the back of the case as pointed out by fellow collector Mike Schultz on his excellent Reverse Time Page. These are the two primary reasons that I think this may be an early model. And with regards to the New York address it can be found either stamped within a circle or in a straight line. After cleaning up and photographing my Privat-ear I was curious about whether it actually worked. After rummaging around in the garage I found what I was looking for; a relatively new 22.5v 'B' battery. I carefully placed it in the battery holder together with a couple of AA batteries. Actually I was quite nervous, would it really work after all this time? Notwithstanding it had probably been 60 years or so since it had last been fired up. The batteries fit in quite snugly and I was a bit worried that the plastic case might crack at the bottom, but it held firm. I placed the somewhat uncomfortable earplug in my ear and slid the telescopic antenna all the way out engaging the simple internal on/off arrangement. I turned the volume control up and instantly a glorious wave of distortion free musical joy swept over me. I wanted to jump up and down and run onto my balcony screaming "It's alive!!" at the top of my voice, just like Dr Frankenstein (but I didn't!). I was really surprised at how well it worked and needless to say I had a big grin on my face for the rest of the day. The plastic cabinet of this radio is hard, inflexible and light. When you flick it it makes a 'tink tink' sound as opposed to the cabinets of later radios that when dropped make a dull, muted 'thud'. It is also highly reflective. Collector Mike Schultz believes that it is some sort of polystyrene plastic. This makes sense as this type of plastic was in common use during the 1940's and early 1950's. 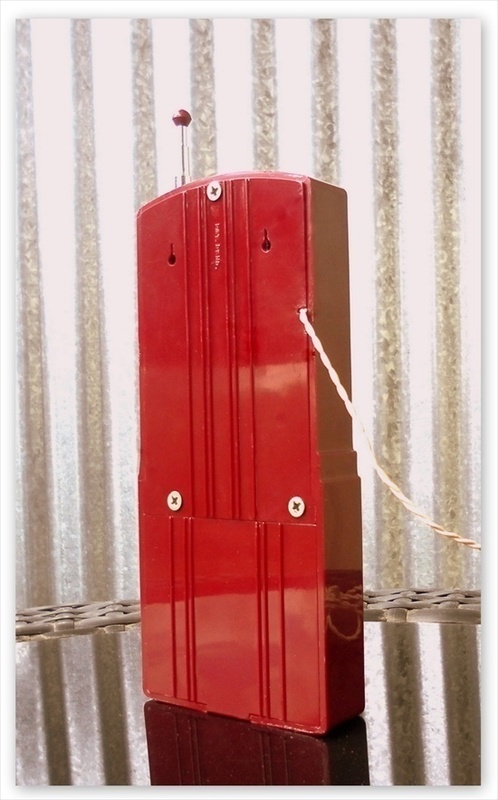 A polystyrene plastic that went by the name of 'Lustron' was supposedly high gloss and the cabinet of this radio might very well be made from it. These radios invariably suffer from melt marks caused, over time, by the vinyl insulation on the earphone wiring coming into contact with the plastic cabinet. These marks can be sanded and polished out but it is a long, fussy process and hard to perfect. To avoid this it is best to store them with the wires wrapped in a protective covering, away from the body of the radio. Interestingly this may have been the first radio to feature a coin slot. 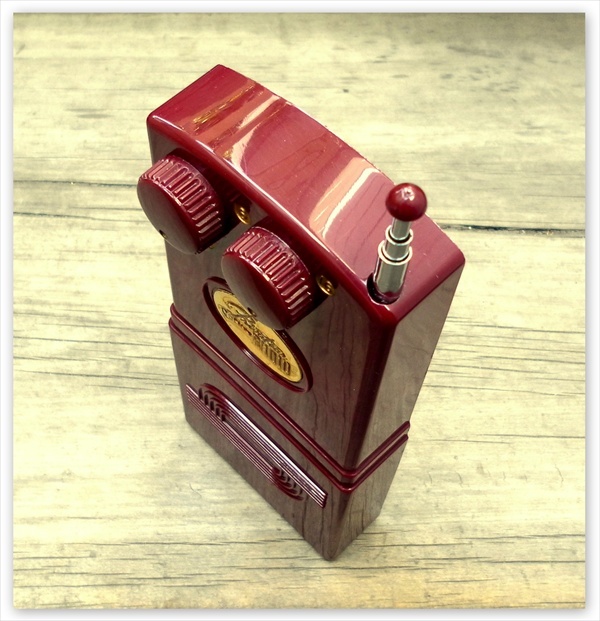 These slots were common on later transistor radios and the idea may have come from Privat-ear. 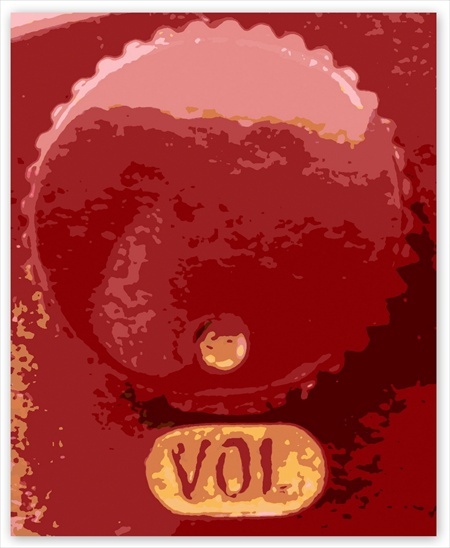 The Privat-ear was made in three colours that I know of; maroon, red and white. White seems to be the rarest colour. This Privat-ear radio came to me all the way from Greens Fork, a small town of just 423 people located in Indiana, USA. It is complete with the gift box, sales brochure, instructions and warranty card, Navy Exchange receipt, earphone with two attachments and an Eveready Mini-Max 'B' battery. It's quite a little treasure trove! If you get tired of trying to force the plastic mold for the earphone into your ear then replace it with the clip-on metal 'sports' attachment that sits behind the ear. An artists impression of a prototype model is shown in the October 1949 edition of Popular Mechanics This version has what looks like a Navy life ring on the front. Also shown is another radio of this genre; the 'Micro Pocket Radio' has a progressive design more in keeping with later transistor radios. I think the Privat-ear looks quite old fashioned next to it. 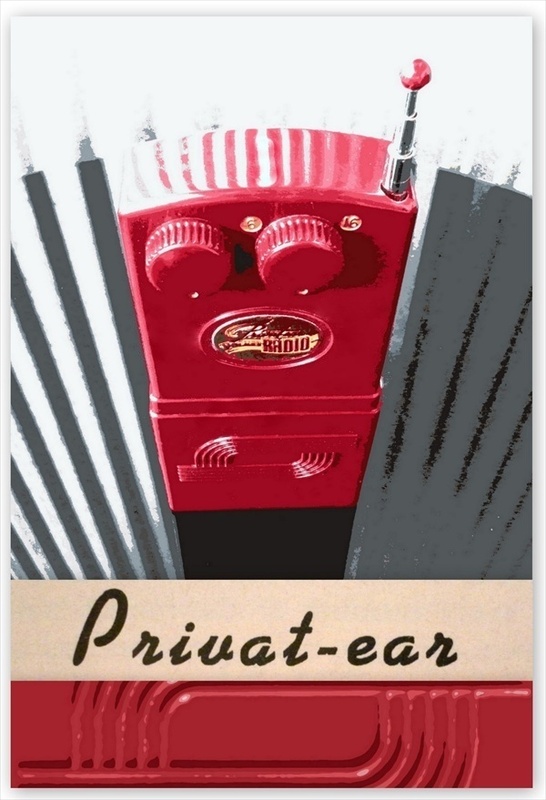 A month later and the Privat-ear has moved from artists impression and/or prototype to its familiar commercial form in the Nov 1949 edition of Popular Mechanics (1l). 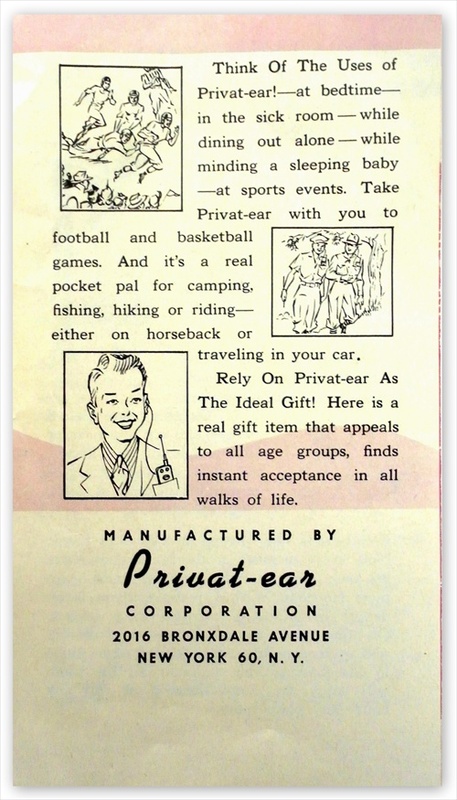 However this advertisement is somewhat ambiguous, although it is referred to as the 'privat-ear phone' the earphone is not actually shown anywhere in the ad. The radio is shown in the happy chappys pocket, and the impression is given that it's in use, but without the earphone. Even the picture of the radio at the bottom of the page shows it 'working' but again no sign of any earphone... Was this a deliberate ploy by the makers to conceal the fact that this is an earphone only radio? I think so. Curiously there is no mention of Electronics Systems Corp or Privat-ear Corp in this advertisement. Instead buyers are asked to send a cheque or money order to Relor Industries Inc, 112 West 18th St Kansas City. This is the same address given for Electronics Systems Corp a month earlier. It also makes reference to the 'writeup' in the October article above. The article below appeared in the December 1950 edition of popular science (1m). Oh man I need to get me one of those fancy twisty lamps and some of that unbreakable polyethylene plastic! The Privat-ear is operated by fully extending the telescoping antenna thus engaging a simple 'on/off' lever arrangement located beside the 'B' battery. It is tuned by moving the iron cores in and out of the tubes on either side of the circuit. The volume and tuning dials are conveniently accessible when the radio is placed in a pocket but the long antenna is quite annoying. It uses two subminiature tubes and in advertising it's claimed to give four tube performance, presumably because it uses a reflex circuit. I have been reliably informed that it is more like three tube performance as only the first tube is reflexed, serving as an amplifier at both RF and audio frequency stages, and the second tube is simply an audio amp sufficient to drive the earphone. The first tube is protected by a coiled metal shield. It uses a germanium diode as a detector. 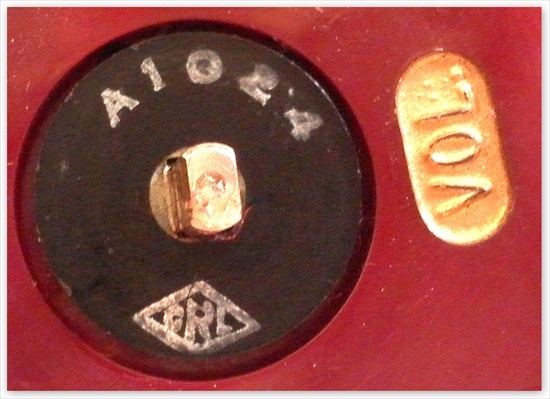 Beneath the volume dial are the letters CRL within a diamond. This is the symbol for 'Centralab', a division of Globe Union Inc. During WWII Centralab worked alongside the National Bureau of Standards in the USA to perfect wired circuits used in the proximity fuse. This fuse, carried in a missile, enabled an antiaircraft gun to knock down a hostile plane without a direct hit, by exploding the shell as it neared its target. The fuse was the size of a normal radio tube and carried within it standard wiring that could not withstand the terrific impact it sustained at the moment of firing: equal to a force 10000 times its own weight! Centralab researchers borrowed principles from the graphic design industry and manufactured whole circuits including resistors and capacitors that were interconnected by silver paths printed onto a ceramic wafer (1n). In reality these were the first primitive integrated circuits and when they became commercially available after the war they were used to further reduce the size of portable radios. Also developed for use in the proximity fuse were subminiature tubes, as used in the Privat-ear radio and hearing aids etc. Designed by Raytheon they?re approximately a quarter of the size of miniature tubes and instead of pins they have flexible leads just like transistors. My Privat-ear uses Dutch Amperex 6007 tubes and some can be found with Raytheon tubes as well. Collector Mike Schultz points out that these tubes were not designed to be serviced as they were soldered into the circuit. 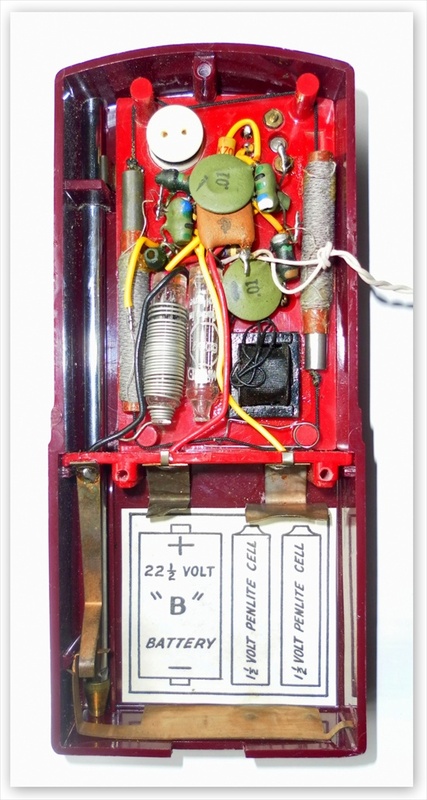 Mike also goes on to state "To their credit, the designers used no paper or electrolytic capacitors in this radio, so as long as the radio is undamaged, and the tubes are not burned out, a Privat-ear should work as well today as it would have when new" (1p). And mine is certainly evidence of that. Some of these radios can be found with a small schematic diagram glued inside the case but there is no evidence that mine ever had one. It is very clean inside. See the schematic here. 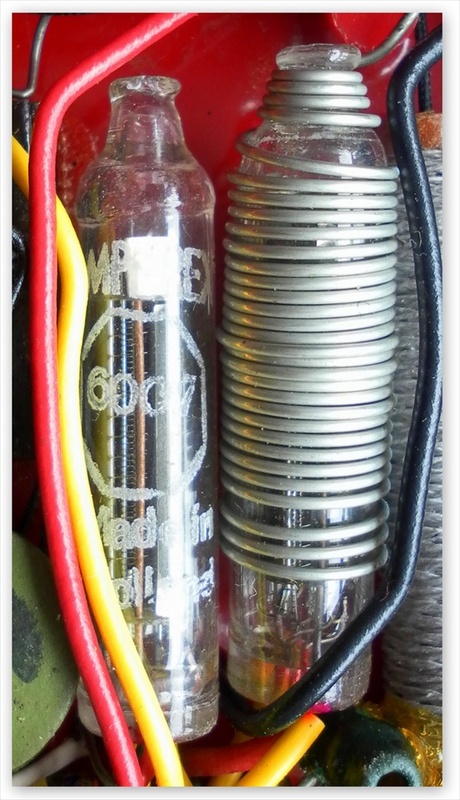 The glass Amperex subminiature vacume tubes. Ref 1a 'American Farm Youth' Volumes 15 - 16 1949 / Ref 1b 'Mechanix Illustrated' Oct 1949 / Ref 1c 'United States Patent Office' Patent No 2521423 / Ref 1d 1920 United States Federal Census / Ref 1e 'Kingsport Times' 23rd of Aug 1949 / Ref 1f 'Beckley Post Herald' 24th of Aug 1949 / Science' Feb 1946 / Ref 1h 'The Portable Radio in American Life' Michael Brian Schiffer / Ref 1i 1947 Lakeland Florida City Directory / Ref 1j 'Popular Science' July 1948 / Ref 1k 'Popular Mechanics' Oct 1949 / Ref 1l 'Popular Mechanics' Nov 1949 / Ref 1m 'Popular Science' Dec 1950 / Ref 1n 'Popular Science' May 1946 / Ref 10 'The New Yorker' April 24 1954 / Ref 1p 'Reverse Time Page' Mike Schultz / Photo of Frank L Stuck Courtesy of Bethany College 'The Bethanian 1927' / Link to Aficionado Eric Wrobbel's excellent page on vintage hearing aids.